If you have been programming for some time and looking to learn to programme then you might be thinking about what makes a good programmer? What a computer science graduate can do to prepare for a career in software development and programming? What are the things expected of a junior developer are some of the common questions I receive from many students on Facebook and Emails who follows me. These are mostly college students who now have access to a wealth of information thanks to the internet and eager to learn things in advance to prepare for their programming job interviews. In this article, I'll share 10 things, which I believe, every programmer should know. This includes a programming language like C++ or Java, essential computer science concepts like Data Structure, Algorithms and Computer Network basics, essential tools like Git, Microsoft Word and Excel, skills like SQL and UNIX, editors like Eclipse or Visual Studio, text editors e.g. sublime and NotePad++ etc. This list is by no means complete but it provides you a good starting point for things a programmer should know. If you are aiming for a career in software development and looking for a programming job then these are things you can learn and improve to stay ahead of your competition. Without further ado, here is a list of things which I personally believe, every programmer should know, irrespective of the job he is doing. These are basic skills and will serve you for a long time. Any investment made into this in terms of time, money and effort will help you to reap rewards throughout your career. If you want to become a programmer then you ought to know Data Structure and Algorithms well, there is no escape. This is one of the important topic of any programming job interview and without you knowing basic data structures e.g. 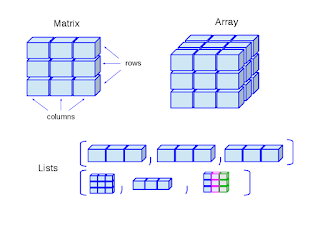 array, linked list, map, set, it's not possible to write a real-world application. That's why every programmer should put serious effort to learn Data structure and Algorithm during their computer science course. If you are a self-taught programmer, then also you must know Data structure and algorithm, in fact, many programming bootcamp will teach you Data structure and algorithm as the first thing. If you want to learn it from yourself then Data Structures and Algorithms: Deep Dive Using Java is a good place to start with. Source control is used to store code and if you want to become a coder or software developer, you must know version control tools like Git and SVN. Thankfully Git and Github have streamlined the market and now more than 70% organization uses Git, hence you can get away by just learning Git. Btw, you should put some effort to learn Git well e.g. you should be comfortable with advanced version control concepts like branching and merging as well as the tool itself e.g. both on the command line and using GUI. For beginners, The GitHub Ultimate: Master Git and GitHub is a good place to start with. There is not a single day when I have not used a text editor while working as programmers. 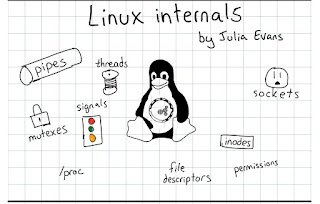 It's one of the essential tools even for non-programmers and anyone who works with computers. I have mostly used NotePad on Windows and VI in Linux but nowadays you have a lot of choices available in terms of advanced editors like Sublime and NotePad++, which provides IDE like functionalities. I suggest you to spend some time learning your favorite Editor and keyboard shortcuts, productivity tips are something you can learn. 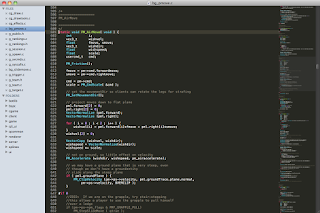 If you like Sublime then Sublime Text for Rapid Web Development is a good course to learn such things. The modern IDES e.g. Eclipse or Visual Studio is the single most important tool for any programmers. For C, C++ and C# programmer the choice is clear, the Visual Studio and for Python developers, Jupiter Notebook is getting better and better every day. For Java Programmers, there are three major IDE to choose e.g. Eclipse, NetBeans, and IntelliJ, while Eclipse is my favorite, IntelliJIDEA is not bad at all. 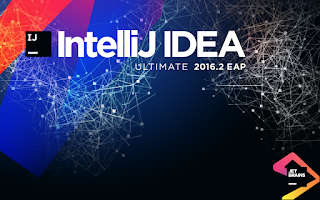 If you happen to be IntelliJ IDEA fan than I suggest you to go through IntelliJ IDEA Tricks to Boost Productivity for Java Devs to learn your IDE better. 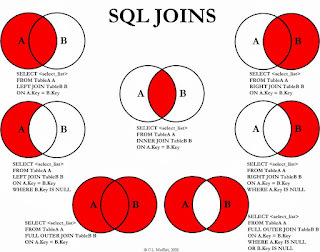 SQL is a classic, it's been around for more than 30 years and I think it will be around for another 30 years. Given the omnipresence of the database, it's expected from a programmer that he is familiar with essential database concepts like normalization and table design along with SQL. There are many databases e.g. Oracle, MySQL, SQL Server, PostgreSQL etc but knowing just one is enough. The key point is that you should be familiar with the database. You should know how to insert/update/delete data and write SQL queries to retrieve it. Knowledge of advanced concepts like join an aggregate function is a big bonus and if you want to get that then The Complete SQL BootCamp is a great place to start with. Like SQL, UNIX also has withstood the test of time. It's also been around for more than 30 years and I hope it will there for many more coming years. Since, most of the times programmers have to work in UNIX machine e.g. Linux servers, good knowledge of Linx command line goes a long way. It allows you to work effectively. You can search files, know what's going on with the system by checking its CPU and memory usage, and perform basic and advance task. If you want to learn Linux commands I suggest to go through Learn Linux in 5 Days and Level Up Your Career course on Udemy. 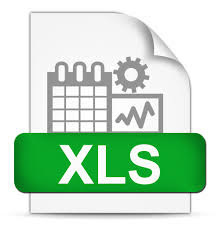 Excel is one of the king tools for programmers, software developers, project manager, traders, and business guys. It's much more than just spreadsheet software. It provides many useful features and functions to perform sophisticated data analysis. I have used Excel to track progress, reconcile data, data analysis, data quality checks and for project planning. It has several usages and that's why I urge every programmer to learn Excel in depth. Instead of just copy pasting data You should know basic functions e.g. searching, sorting, filtering and VLOOKUP to compare stuff. If you want to learn Excel from scratch or want to improve your knowledge, Microsoft Excel - Excel from Beginner to Advanced is a great course to start with. It's very easy to start with and that's why a good choice for beginners. It's also immensely powerful and allows you to virtually anything. It has got libraries from doing basic stuff e.g. web development to Big Data and so on. If you decide to learn Java then The Complete Java MasterClass is probably the best place to start with. Today's world is inter-connected world and anywhere you go, you will find computer networks, starting from home where you are using WIFI across many devices to school, college, and offices which uses Local Area Network (LAN) to the Internet. 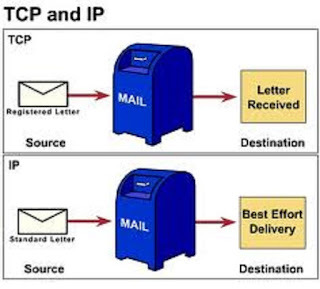 Most of the application you will write will also not be standalone but client-server kind of application where the request will go through the network to a server. Clients will access your application from anywhere in the world. Bottom line is that you must understand the networking basics to understand, develop and support your application. If you want to learn more then I suggest you join The Complete Networking Fundamentals course on Udemy. A good starting point for beginners. In point # 8 I have asked you to learn a Programming language and here I am asking you to learn a scripting language? Why? Can the same programming language not be used as a scripting language? Well, there is certainly some language which is good for both OOP coding and scripting like Python and that's why I asked you to learn it at least but if you happen to learn C/C++ or Java then you can't whip out something as quickly as a Python or Perl developer can do. If you want to learn Python and need a course, The Complete Python Bootcamp is a great course to start with. The scripting language makes it easy to create tools and scripts to solve common problems in the programming world. If you have a good command over a scripting language e.g. Python then you can automate mundane stuff easily. That's all about 10 things every Programmer should know. Computer science graduates and people who aspire to become programmers can use this list to find out about things e.g. tools and skill to become a successful programmer. Btw, if you are interested to learn more about things programmers should know, there is a lot of guidance available in terms of important things for programmers and you can find man great advice on the internet e.g. 97 Things Programmer should know, a must read for every serious programmer. Thanks for reading this article so far. If you find this article useful then please share with your friends and colleagues. If you have any questions or feedback then please drop a note.